This post is part of a Series entitled Discussions with Dale. On this visit, Dale and I only had a few hours to talk, but here are the subjects and resources that came up. 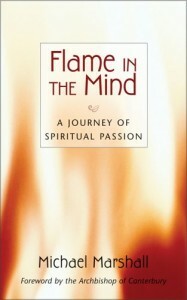 Flame in the Mind: A Journey of Spiritual Passion. In Flame in the Mind, Bishop Michael Marshall uses the great prayers of St. Augustine as a touchstone, inviting us to make this fervent saint our companion in a pilgrimage of spiritual passion and enlightenment. Shared Morality: A Narrative Defense of Natural Law Ethics. Craig Boyd provides a contemporary defense of natural law theory against modern challenges from the arenas of science, religion, culture, and philosophy. In his analysis, he defends many of the classical elements of natural law, but also takes into account the contributions of scientific discoveries about human nature. He concludes that natural law is a necessary but not sufficient basis for ethics that must be accompanied by a theory of virtue. Why I Became an Atheist. See my posts on this challenging volume at Leaving Faith. 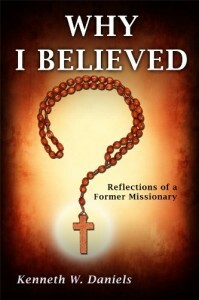 Why I Believed: Confessions of a Former Missionary. This is a story of a true Christian who believed for nearly three decades, having grown up the son of evangelical missionary parents, later becoming a missionary himself. Yet he slowly lost his faith and now no longer holds it. In this part-autobiography, part-exposÃ©, Ken traces his journey from evangelical missionary to secular humanist while remaining part of a committed Christian family. He looks back at a number of reasons he remained a believer for over a decade after his initial doubts began at university, critically evaluating each one in a separate chapter. See my review of some of this book at Leaving Faith.